Images of humid Bombay evenings spent enjoying Irani Chai at Fort drifted into my mind, as I mounted the stairs of this quaint. one-of-it’s kind restaurant in Delhi. I settled into a red checker cloth covered table, feeling excited as I ordered a cup of Irani Chai and a plate of Bun Maska, even before they could get me the menu. The restaurant was quite empty at that time of the day, probably because Delhi still hasn’t discovered this delightful evening snack served here. The waiter was amused at the sight of a 22-year-old solo customer, trying to click photos of her Chai from various angles, shifting from one chair to another on the table which could seat four. 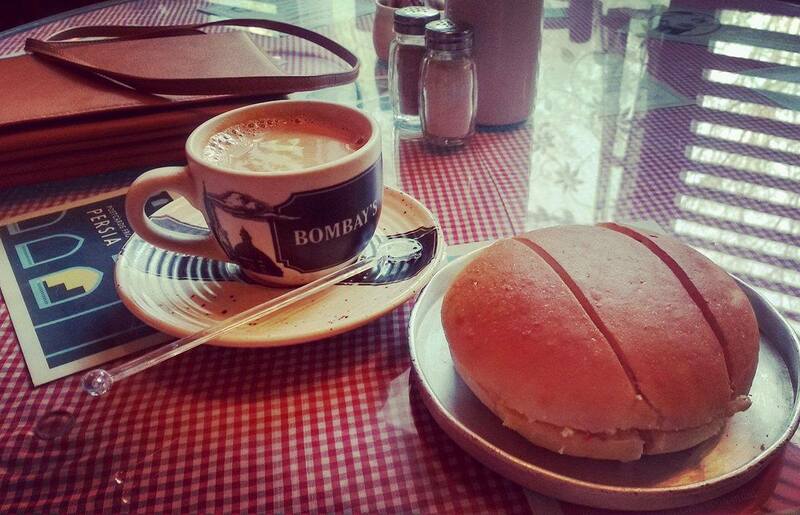 After I finally got the shot I wanted, I broke off a slice of the Bun Maska and dipped it into my tea-cup. Not many people would understand this, but a sip of tea is never an isolated action. It brings with itself a deluge of old memories, of people and places, sometimes long forgotten. My perfectly made Irani Chai, strong and flavoured with mawa, alongwith the eccentric decor of the restaurant – old, brass telephone sets, dark polished chairs, photographs of vintage cars and newspaper clippings from a time when Mumbai was Bombay – brought back memories of my time in the city of dreams. The charming bylanes of Fort and Kala Ghoda which have many an Iranian delight tucked away, seemed to beckon me from a distance, as I sat with my cup of tea that evening.